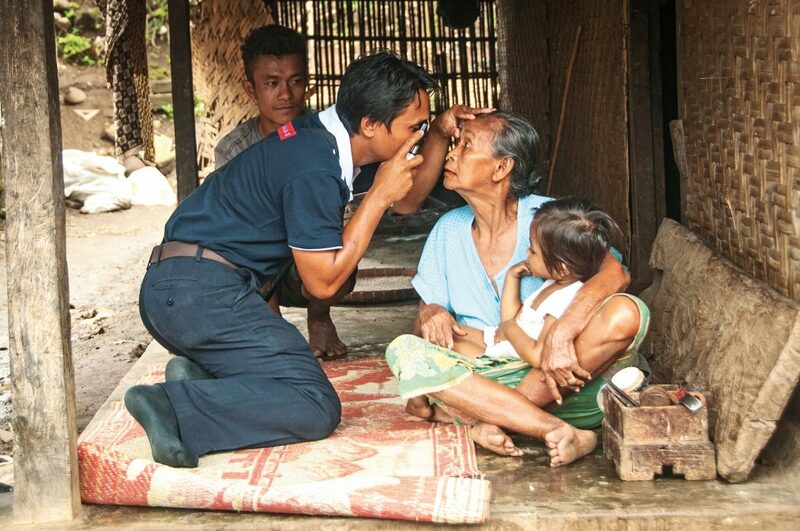 One of the critical problems directly associated with Indonesia’s impoverished is cataracts that leads to blindness; around three million Indonesians are affected by this, not just a dimming of their vision, but actual, total blindness. This means that the cataracts they have develop to such an extent that they are actually blocking people’s vision completely – not a common situation in the western world where cataracts are dealt with in the early stages of their progress. Imagine a person living in a remote village, someone who survives through simple subsistence farming, living day-to-day – imagine if they are affected by this blindness. An older member of these societies would feel useless. They would just sit, unable to move about much, totally reliant on their family members for the simplest tasks, virtually waiting to die. A younger person would have their life curtailed dramatically, unable to progress at school, having no hope of finding a job, unable to help their family in the fields, unlikely to marry and raise a famwily – a person without a future in this culture. The thing is, cataract blindness is totally curable! A simple operation where the cataract lens is extracted and replaced by a new plastic lens takes just around 20 minutes. 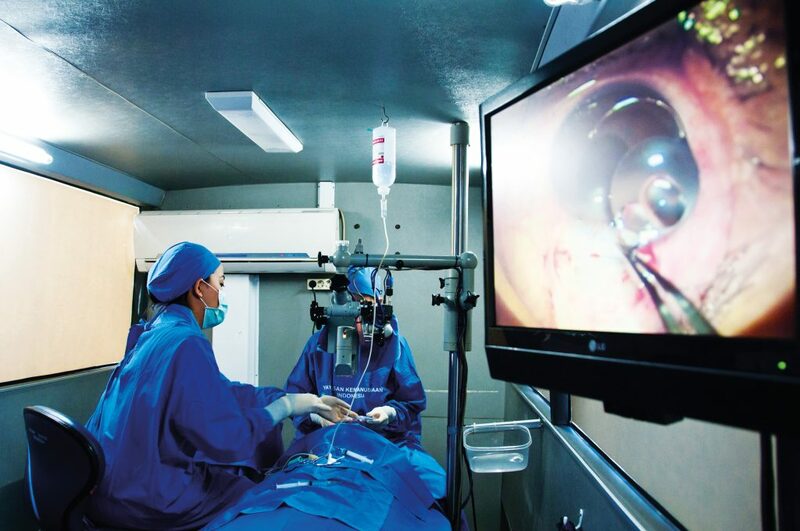 The day after the operation, the person can see through the operated eye, even if they have been blind for many years. 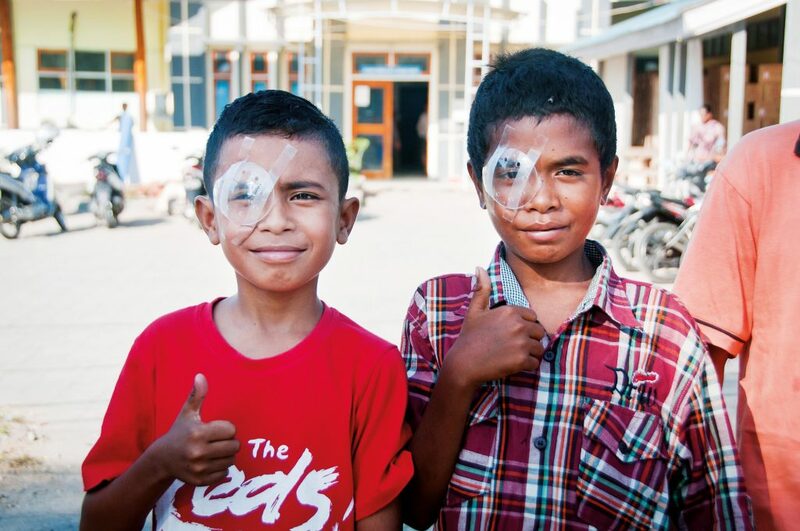 The John Fawcett Foundation (JFF) is an Australian-registered NGO based in Bali, whose mission is to identify and operate as many of Indonesia’s cataract blind as it can. Its experienced team of ophthalmologists, nurses, technicians and support personnel travel to villages around Bali screening village people who presently live with eye problems, providing glasses to those who need them and eye drops to those with infections, and identifying those who are blind with cataracts. With the team, travels a mobile operating theatre, and the cataract blind are operated there and then, in their village in a safe, sterile ophthalmic theatre. All services provided by JFF are free for the poor, including cataract surgery. 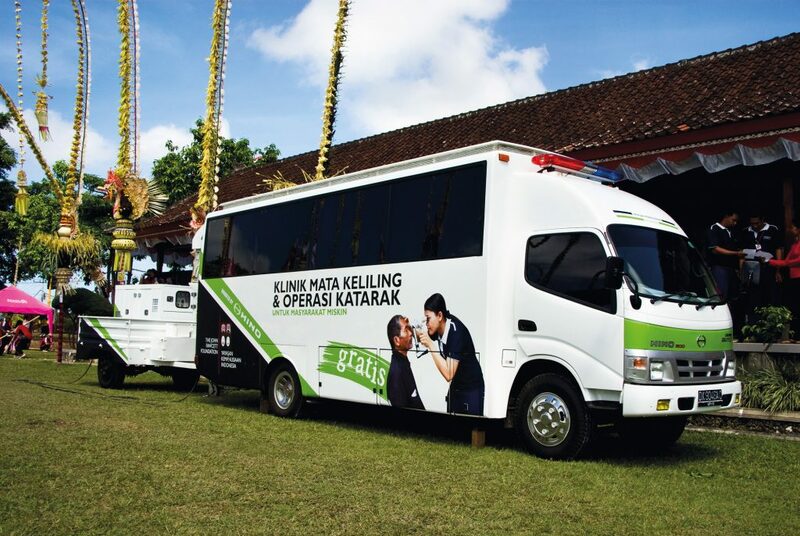 To reach communities off-shore from Bali and on more remote islands, JFF’s mobile eye clinic and team, in a unique partnership with the Indonesian Air Force, are transported by C130 Hercules plane. Air Force ophthalmologists work with the JFF team to operate the blind, sometimes as many as 300 in one single trip. However, cataract operations don’t come cheap, and quality service is of paramount importance to the foundation. 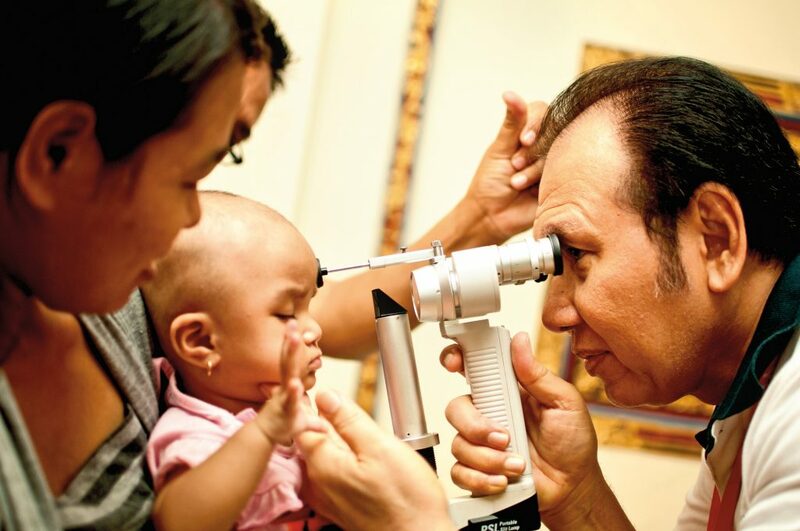 In 25 years, JFF has given 48,000 Indonesians the free gift of sight. With over three million cataract blind people, most of them in the lower socio-economic group, there is still a long way to go and a huge challenge ahead. 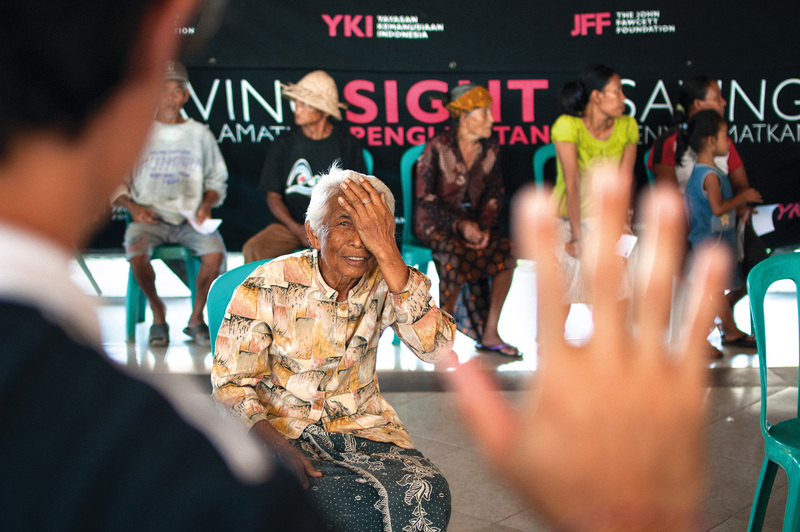 JFF is planning to significantly increase its output of cataract surgeries by partnering with private ophthalmic outreach clinics across Indonesia. With sufficient funds, JFF could reach even more in need and increase its annual output from around 2,500 to over 10,000 operations. Your contribution is needed. This would make a huge difference to their lives! Online donations at www.johnfawcett.org are tax-deductible in Australia. For tax deductibility in the UK and USA, see the JFF website.